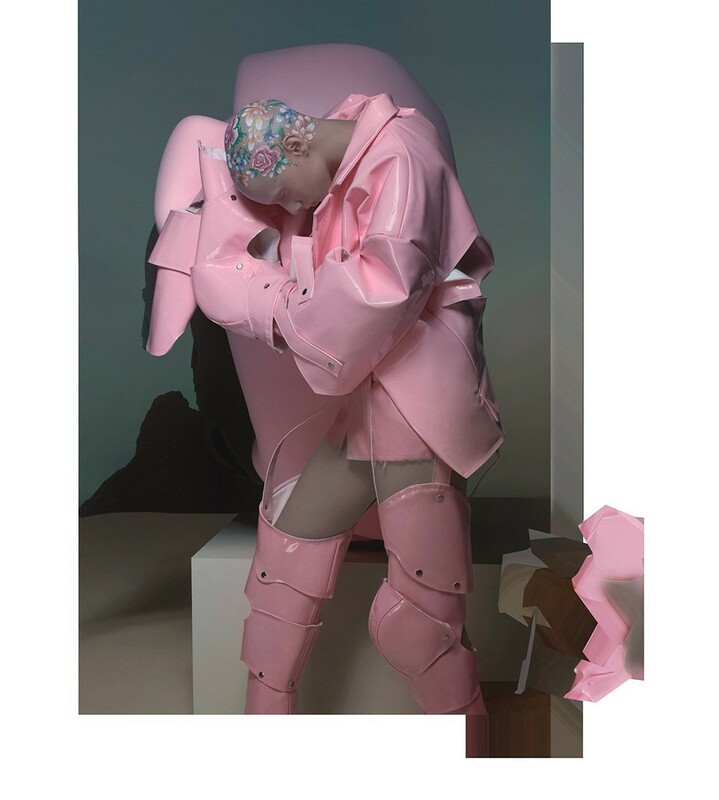 The fusion of 18th century and punk may seem unlikely, but “I suppose there was punk spirit in every age,” Rei Kawakubo says. “I was thinking that there had to be women in the 18th century who wanted to live strongly. So I designed what I imagined this type of woman would have worn, and called it ‘18th-Century Punk’.” Dig deeper and the 18th century was indeed an era associated with both revolution and change. And that applies to France and Paris in particular. The otherwise Tokyo-based designer has chosen to show in that city since the early 1980s. With that in mind, it is impossible not to see the influence of Les Incroyables – and their female counterparts, Les Merveilleuses – at play here. It might be argued that this collective of purposefully decadent and outlandishly dressed aristocrats were the original fashion agitators, deliberately provoking outrage and even outright scandal throughout the 20-year French Directory period (1795-1799). 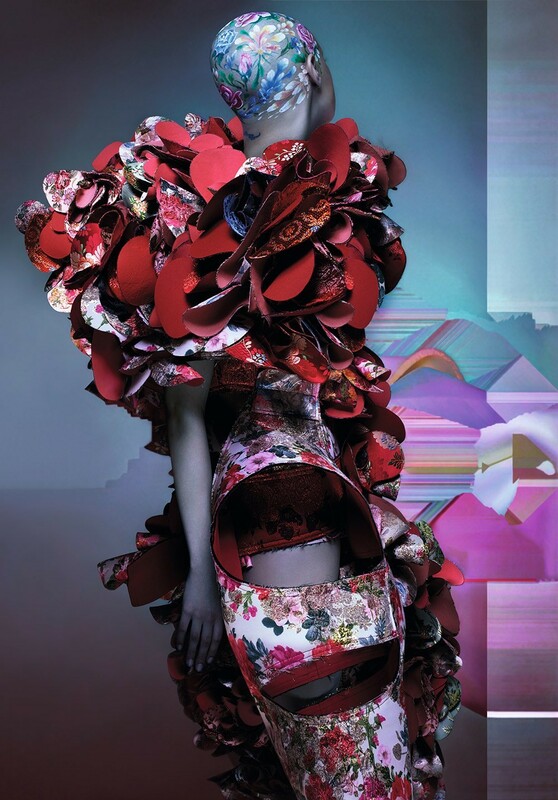 Today, Kawakubo is quite possibly the greatest fashion agitator of them all. Famously averse to attaching any political meaning to her work, all the willfully elusive creator will say on that subject is, “I have always only done what I first set out to do, never wavering from the Comme des Garçons values, and irrespective of what is going on anywhere else in the fashion world.” That mindset has paid dividends. 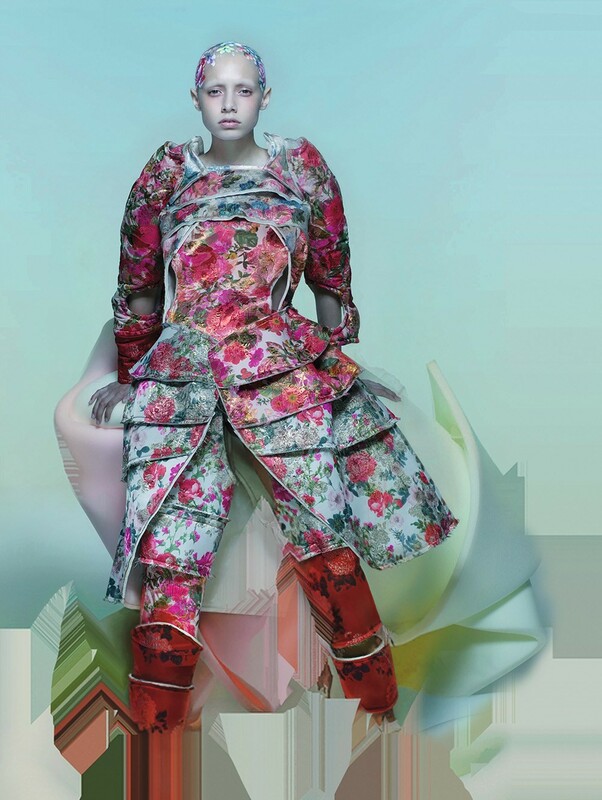 Kawakubo’s passionate belief in independence and her refusal to compromise those values has resulted in her being perhaps the most influential fashion designer in the world, with a business empire that is the envy of her contemporaries – not to mention the generations that have followed. 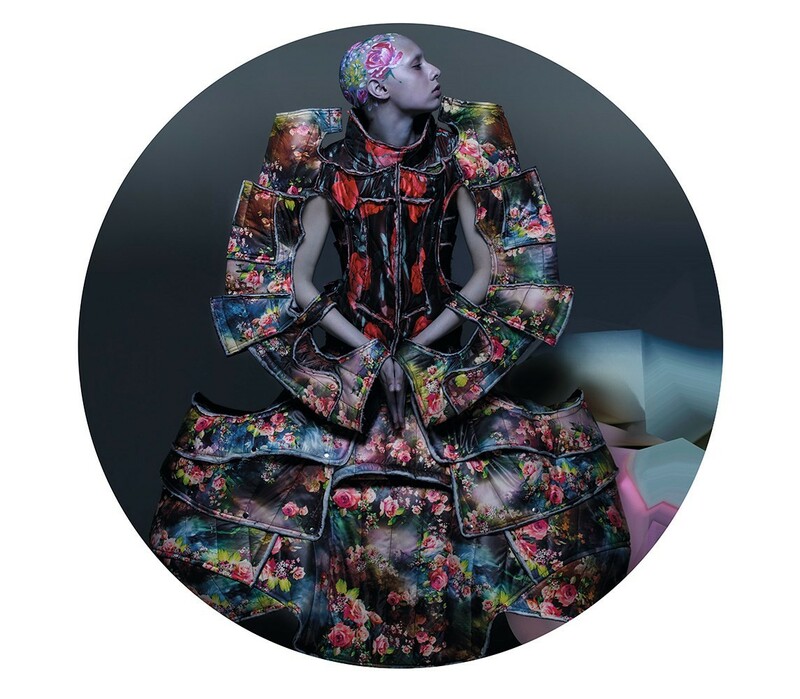 In fact, while the anti-Establishment stance that has always characterised Kawakubo’s work is in evidence here, less usual is the use of a specific historical reference. The fabrication of garments is surprising also. 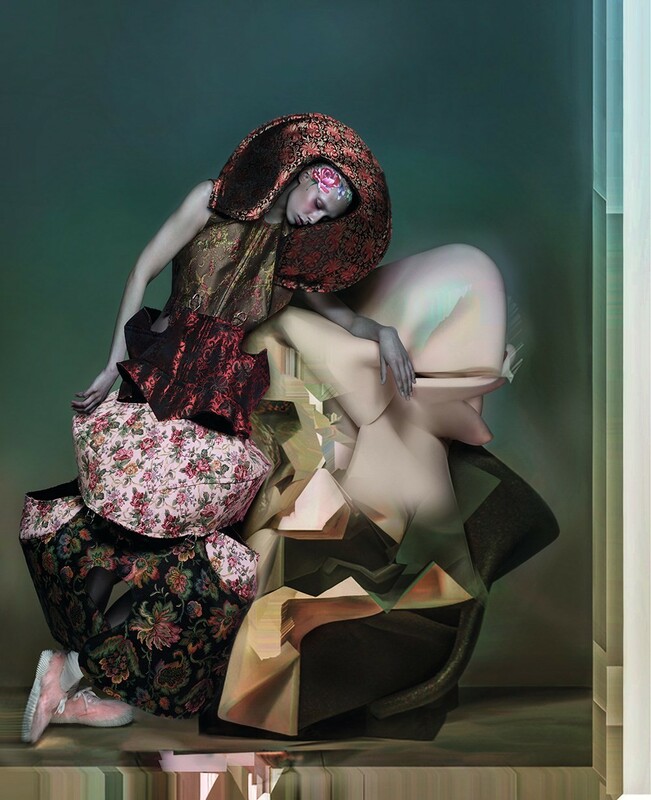 Kawakubo works predominantly with technically pioneering acrylics produced in her native Japan. This time fine silks and velvets make an appearance. No less than 27 fabrics – a mix of clothing and furnishing, archive and modern – were painstakingly created under Kawakubo’s direction by four Italian, three French and one Swiss fabric maker. The patchwork of intense colour and bright blooms is as uplifting as it is powerful. As for the punk side of the equation, PVC in signature (bubblegum) pink is a perfectly anarchic take on one of the greatest feminine clichés of them all.